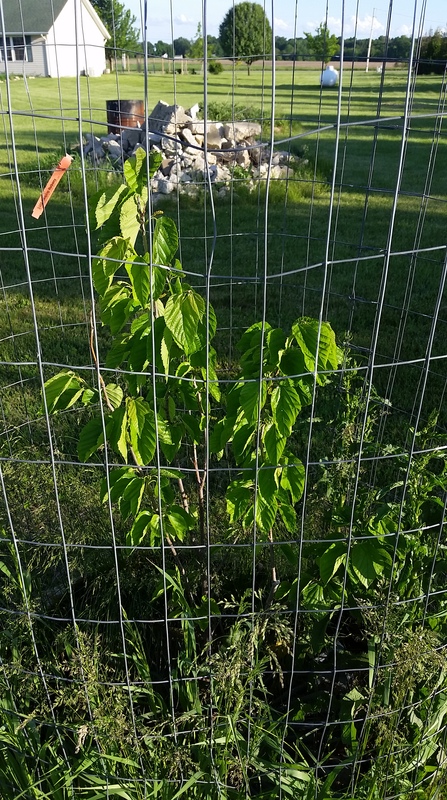 Three years ago, we planted an apple tree and two mulberries on the Northwest side of our homestead. 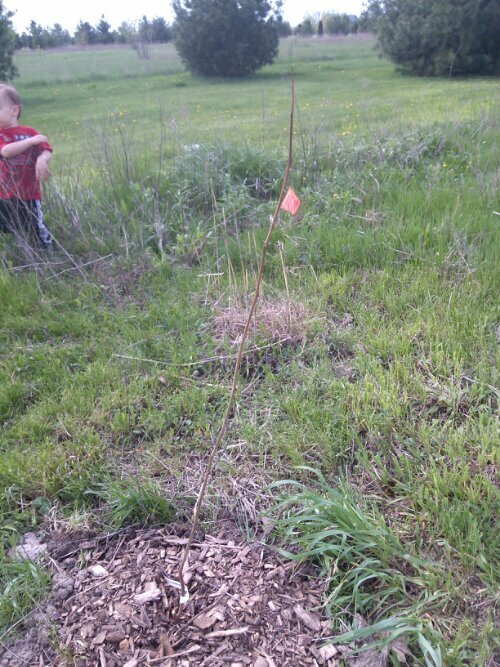 We planted saplings. Leafless, scrawnyy saplings. We had plans to turn that area into an orchard, but with only three trees it was dubbed “the fruit tree area”. 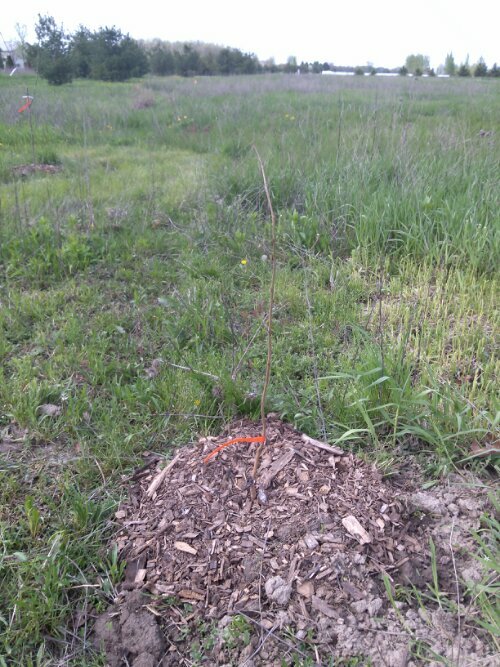 Now, just a few short years later, the scraggly saplings have grown strong with aspirations to become full-grown trees. We watered them for the first season. We fertilized them a bit. But then, aside from caging them to give them a chance against the deer, we let them fend for themselves. They’ve been through a lot these past 3 years. They’ve bravely withstood being deer snacks and quickly rebounded from vicious Japanese beetles assaults. I like to think that the phrase “what doesn’t kill us makes us stronger” can be applied to these three little tree-lings. 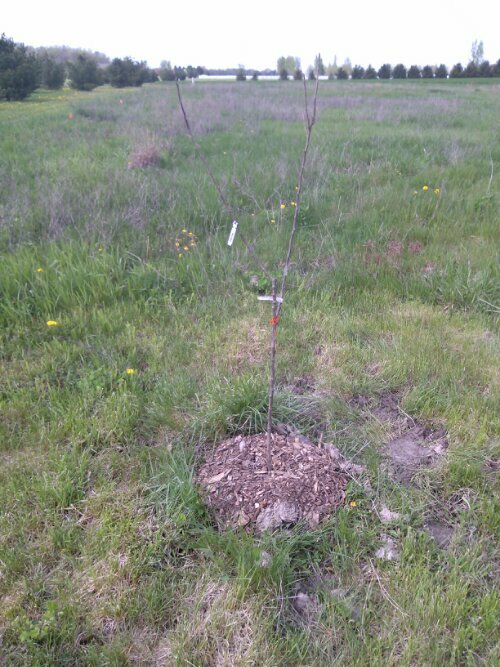 Last Saturday, we added more apple trees and a few cherry trees. 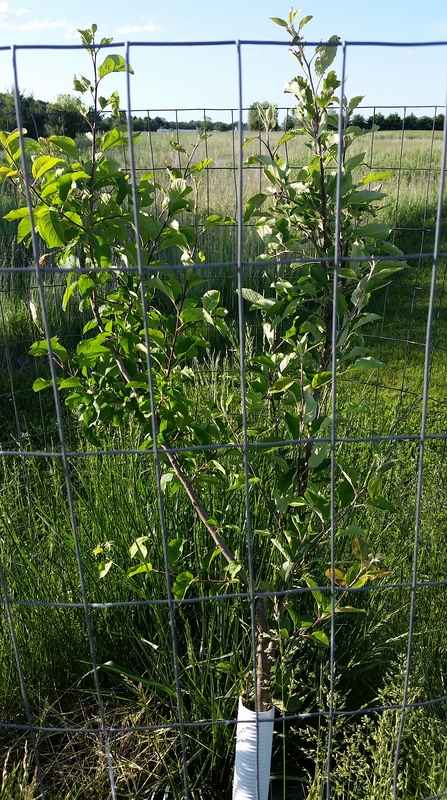 Our “fruit tree area” has graduated to an orchard. An orchard deserving its own sketch-up. 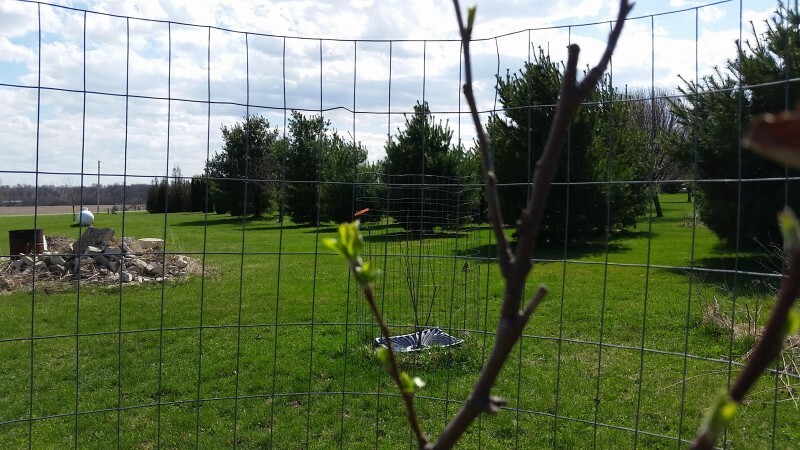 An orchard full of 2′ saplings and three leafy tree wannabes, but still…an orchard. This entry was posted in For the Kids, Garden Stories, Garden Stories, Life, Permaculture, Poetry, Preparedness, Writing. Bookmark the permalink. Depending on how many, the pine trees are probably taking a lot of the sunlight. If he doesn’t want to get rid of them and if they aren’t taking up too much room, you could plant fruit trees on the south side of the pines to maximize sunlight…but the soil is most likely highly acidic from the pine needles so there might be a problem there as well. Good luck convincing him! Thank you for the compliment! I bet it will be fun to watch the progress as trees grow over time! It’s been fun watching so far. Amazing how much changes in just a year.